Directed Evolution of Enantioselective Enzymes as Catalysts for Organic Synthesis (M.T. Reetz). Dendrimers in Catalysis (J.N. H. Reek et al.). Catalysis in Ionic Liquids (Z. Conrad Zhang). Optimization of Alkaline Earth Metal Oxide and Hydroxide Catalysts for Base-Catalyzed Reactions (A. Corma, S. Iborra). Catalysis is the acceleration of a chemical reaction by a catalyst, a substance that notably affects the rate of a chemical reaction without itself being consumed or altered. Since 1948, Advances in Catalysis has filled the gap between the papers that report on and the textbooks that teach in the diverse areas of catalysis research. 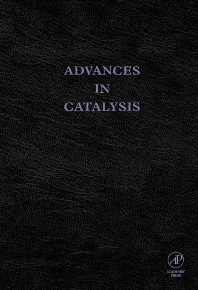 The editors of and contributors to Advances in Catalysis are dedicated to recording progress in this area. Volume 49 reviews the directed evolution of enantioselective enzymes as catalysts for organic synthesis; dendrimers in catalysis and catalysis in ionic liquids; and the optimization of alkaline earth metal oxide and hydroxide catalysts for base-catalyzed reactions.